Precisely, it’s all about internet domains You can register and their DNS zones You can manage as it’s described hereafter. 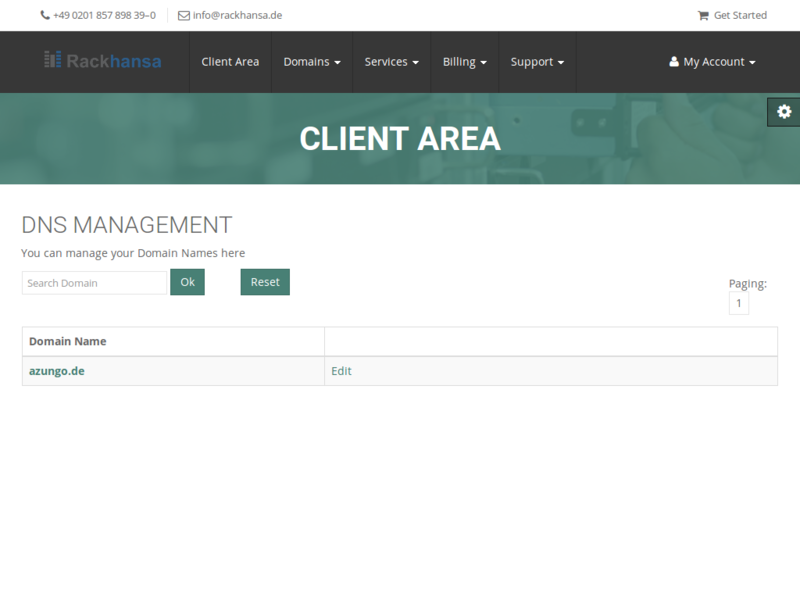 Rackhansa implements the flexible concept to your benefit. 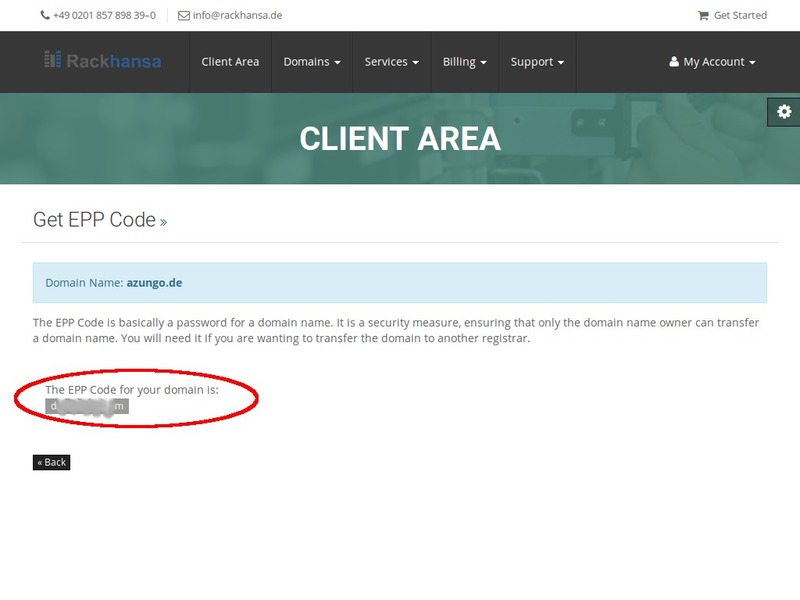 Theoretically it’s possible just to order domains with free DNS-management from Rackhansa and receive internet services like web or email from other service providers. We’re not trying to retain our clients through technical obstacles but instead through open design and convincing performance. 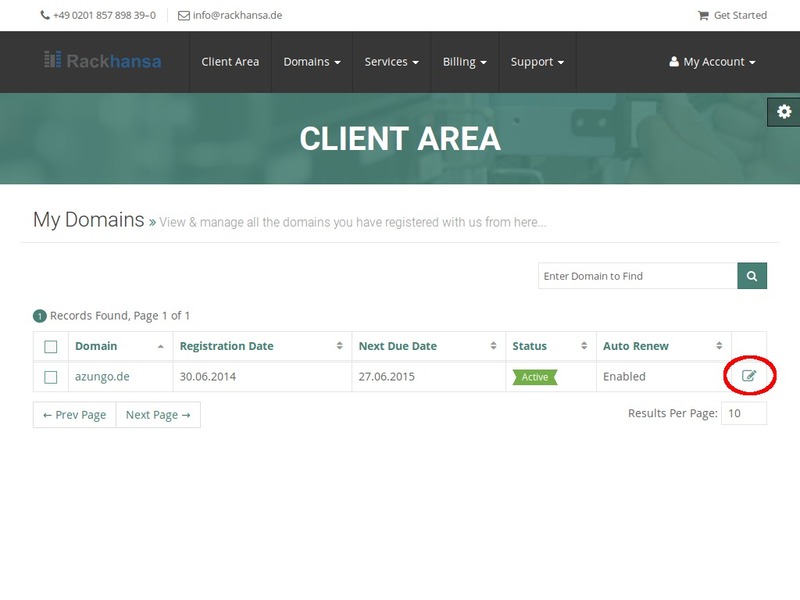 1.Reaching an interface with your account overview, click on the option “My Domains”. 2. 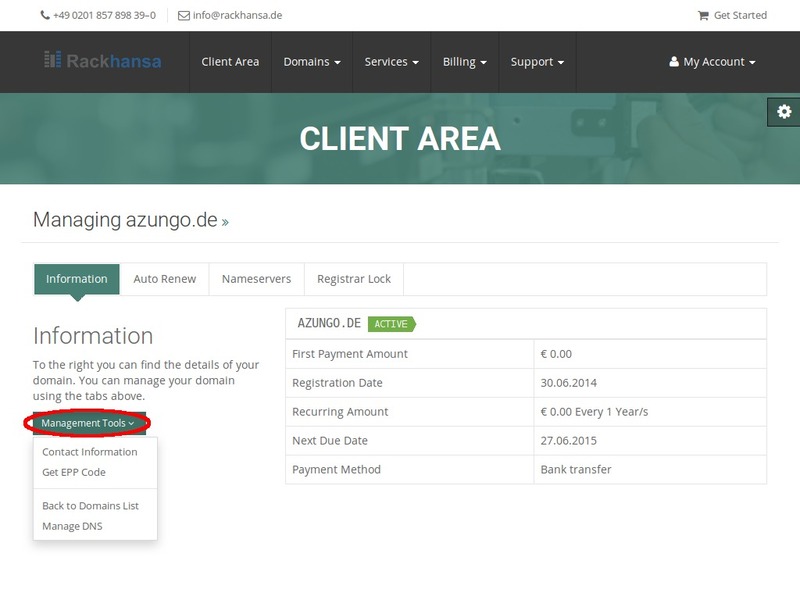 You get an overview of all your domains in your account. 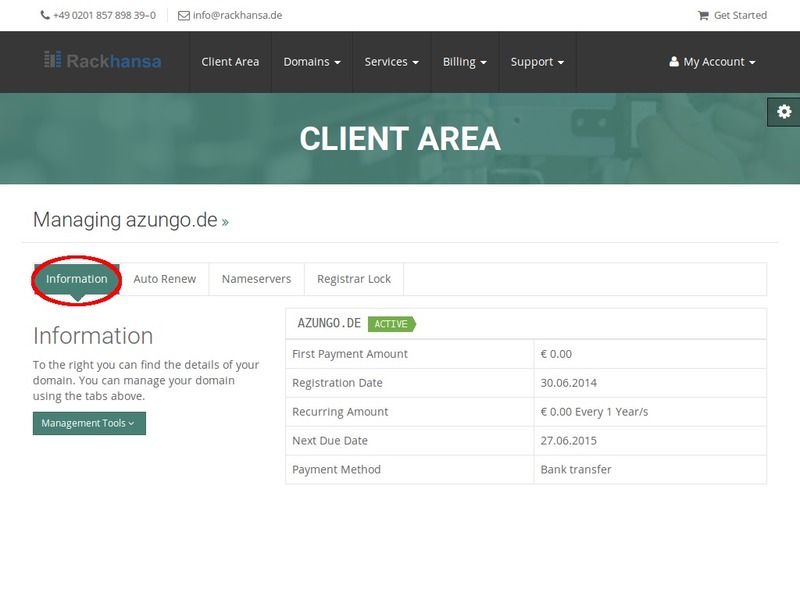 Click on the domain You’d like to manage. Click “Contact Information” to edit your contact information if it’s required. 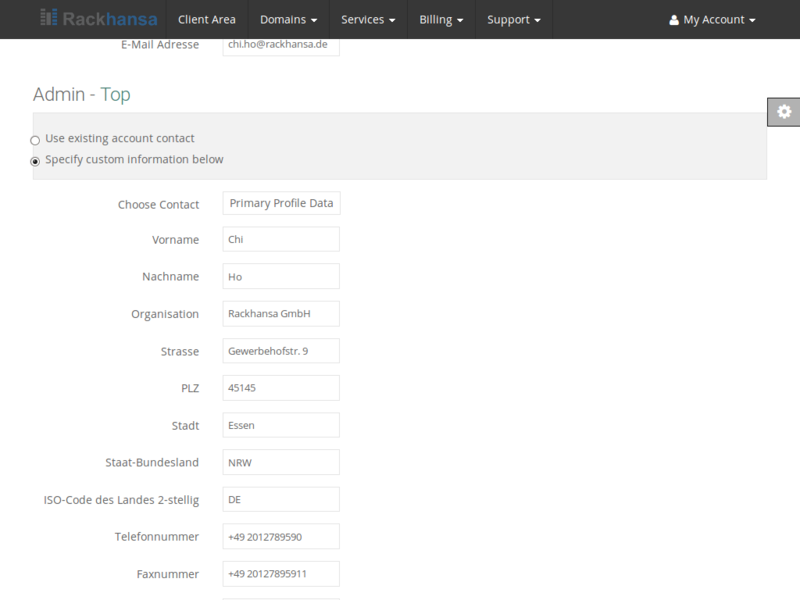 Contact Information: The Contact information of your domain is published by Top Level Registrar for the Whois-service. 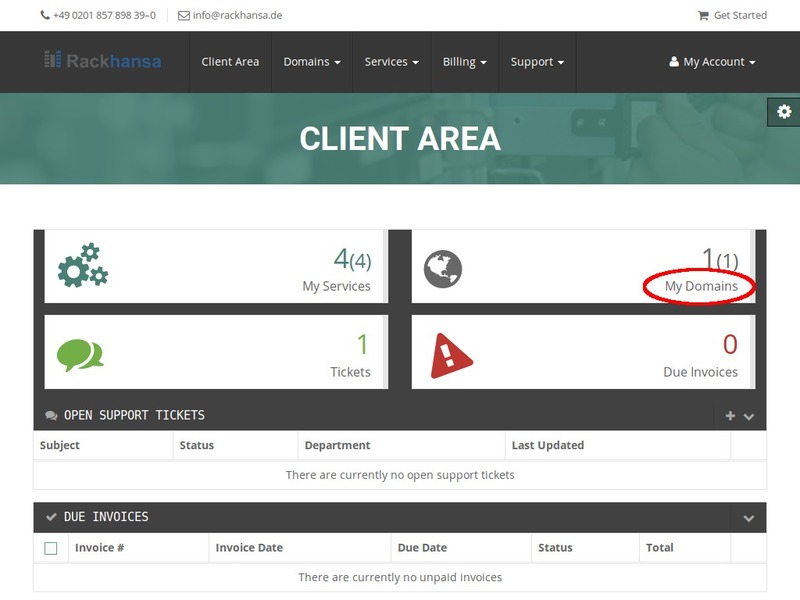 Admin Contact information: When You scroll down further, You can report your changes of administrative contact here to the Top Level Registrar. Please chose the domain You want to edit. 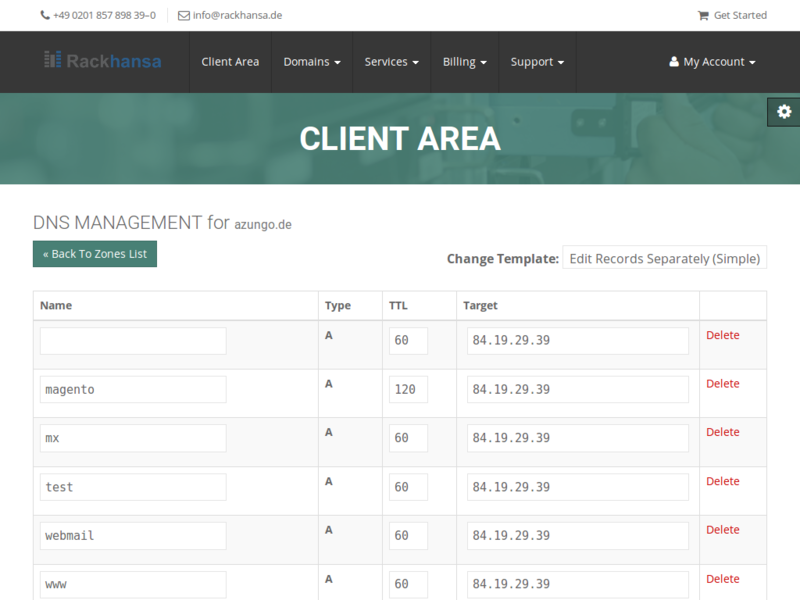 Manage DNS: Define all your DNS-records here. The task is intuitive and no further explanation is needed. 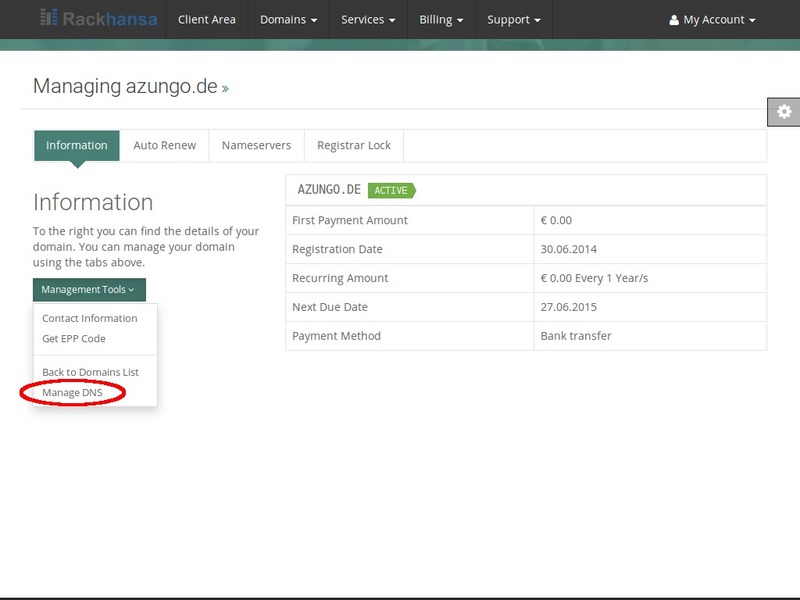 Manage DNS: If You click the “Back” button (picture above), You’re getting back to the edit domain overview. Get EPP Code: You just acquire this code if You like to transfer your domain from Rackhansa to another service provider. To transfer your domain, it’s necessary to deactivate the “Registrar Lock” (description farther below). Get EPP code:Then You receive a code that’s displayed like in the screenshot below. 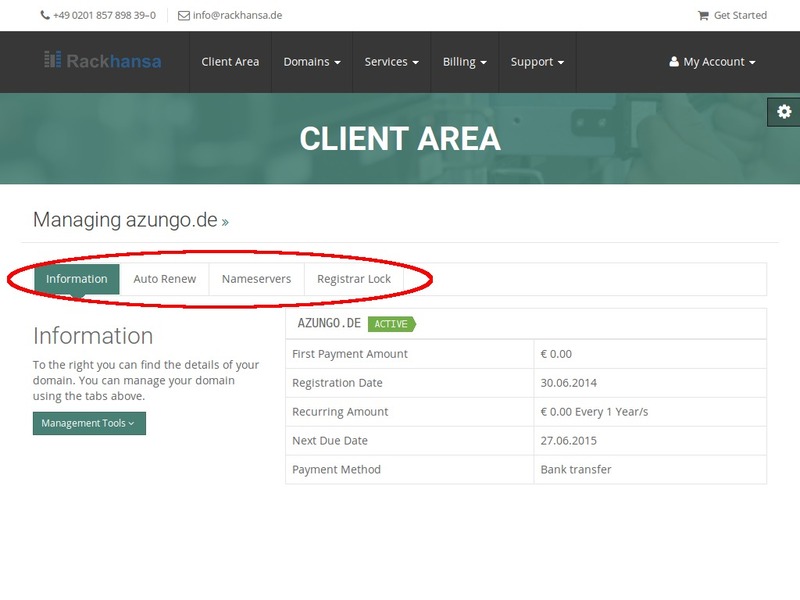 Call up to more details about “Information”, “Auto Renew”, “Nameservers” and “Registrar Lock”, by clicking the appropriate tabs. Information: Receive more details about registration date, renewal options and renewal dues. 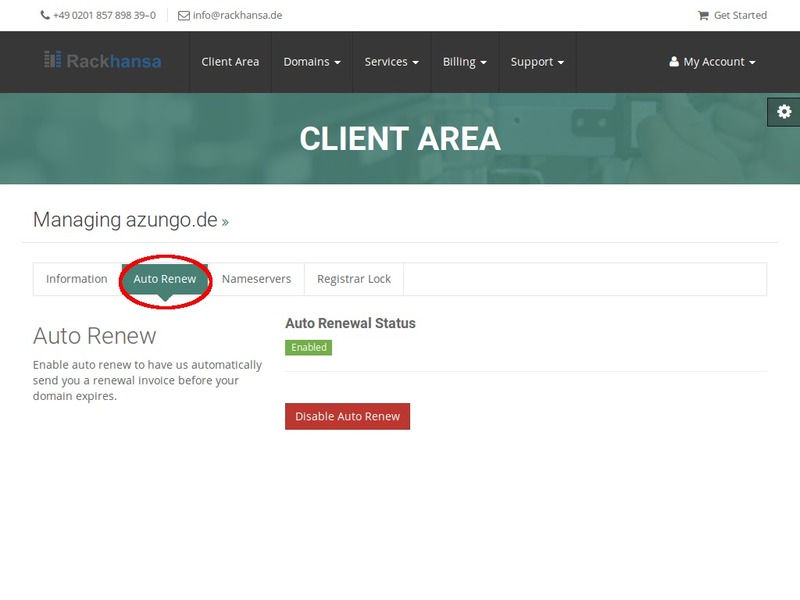 Auto Renew: In this area You can renew your domain automatically. It is also possible to deactivate it here all the time. 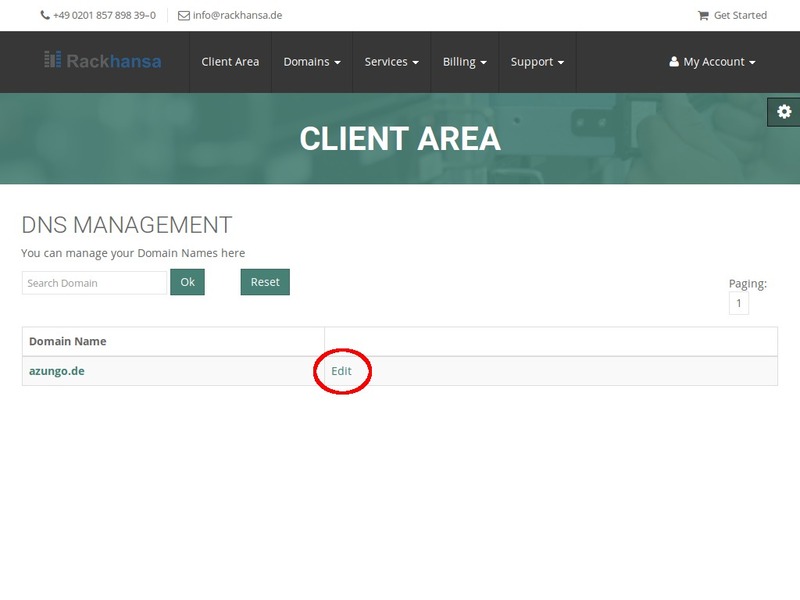 In case of deactivation or passing the contract period, your domain is not administrated or managed by Rackhansa anymore. After that any further actions are according to your TLP conditions. 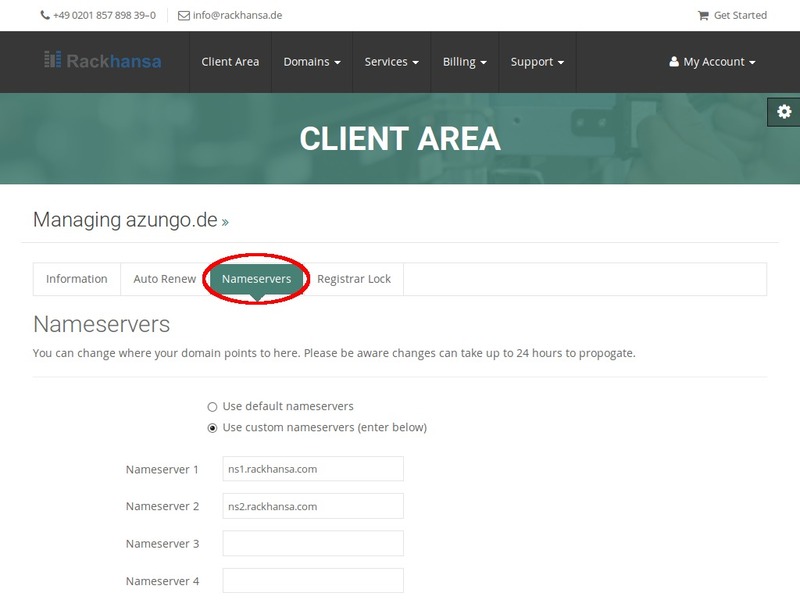 Nameserver:Clicking on the tab “Nameserver”, You can specify the server for your domain. 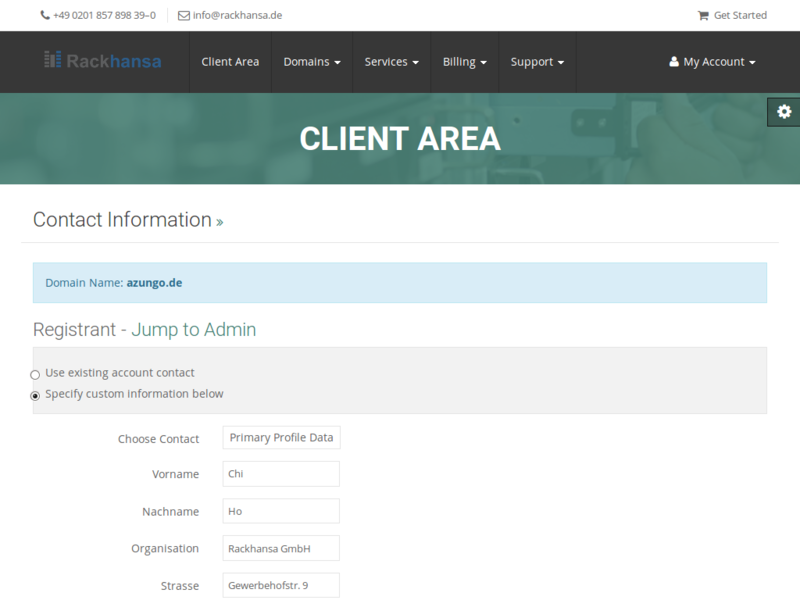 If You wish to use alternative or additional nameserver, You can add up to 5 nameservers. Your changes are reported to TLD (Top Level domain) immediately but can take up to 24 hours to be worldwide known. For almost all our clients our given nameservers are sufficient. 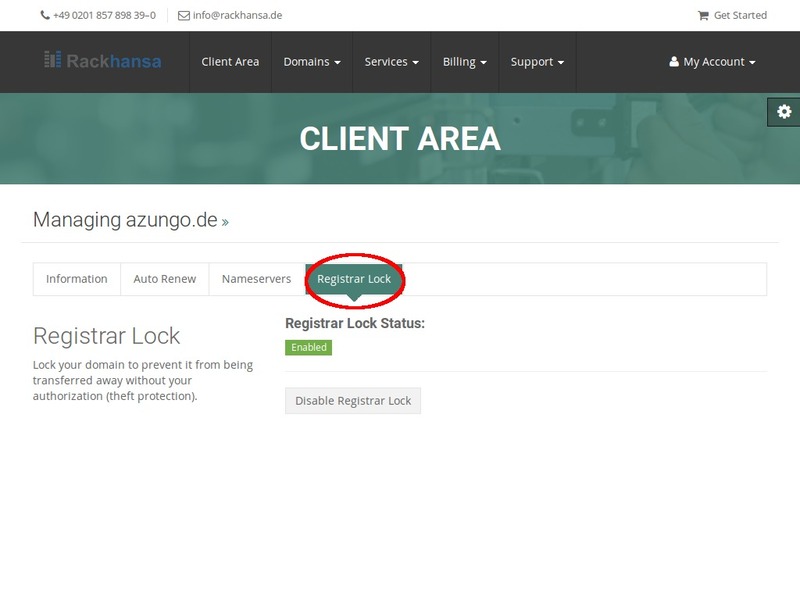 Registrar-Lock: Your domain is prevented from being unauthorizedly transfered by the “Registrar Lock”. 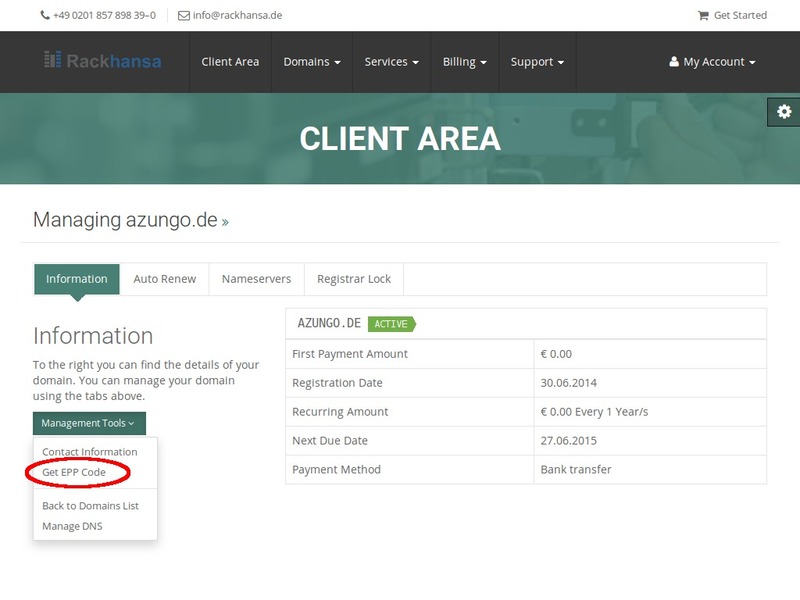 To transfer your domain from us to another service provider, You need to deactivate the “Registrar Lock” and get an EPP-code (description above).